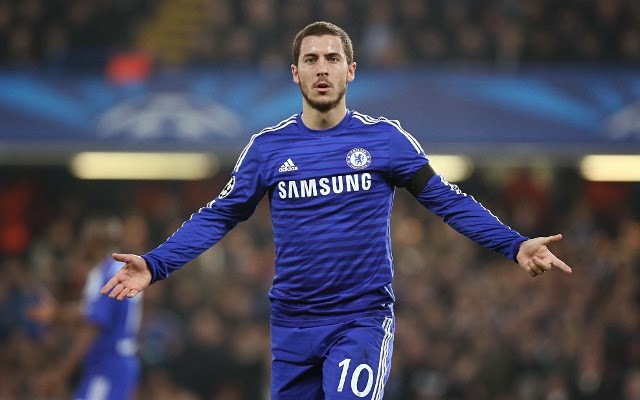 Eden Hazard has been voted the 2015 Footballer of the Year by the Football Writers’ Association. The Chelsea midfielder topped the poll of more than 300 journalists with 53% of the vote, comfortably ahead of the Tottenham Hotspur striker Harry Kane, with his Chelsea team-mate and captain John Terry third. The 24-year-old Belgium playmaker has scored 20 goals in all competitions so far this season and created many more as José Mourinho’s side secured a first Premier League title since 2009-10. Hazard, who also won the Professional Footballers Association’s player of the year award last month, will be honoured with the FWA accolade, which has been running since 1948, at a gala dinner in London on 21 May. The FWA chairman Andy Dunn, of the Sunday Mirror, said: “The list of truly world class players on the Football Writers’ Association roll of honour is a long one and Eden Hazard is a worthy addition. A creator, a goalscorer and the hardest of workers, Hazard has been a constant source of threat for the Barclays Premier League champions. As well as Hazard and Terry, the Chelsea midfielder Cesc Fàbregas, their defender Branislav Ivanovic and Thibaut Courtois also featured in the FWA’s top 10. The other players to receive votes were Alexis Sánchez of Arsenal, the Manchester United goalkeeper David de Gea, the Manchester City forward Sergio Agüero and Leicester City’s Esteban Cambiasso.